Embryology training (2014-2016) Department of Reproductive Medicine A IVF, Mata Chanen Devi Hospital, New Delhi. MSc (Hons.) Molecular biology and Biochemistry (2014) Guru Nanak Dev University, Amritsar Punjab. 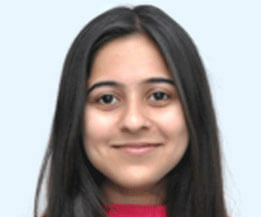 Graduate (2012) in Biotechnology (Prof.) from Lyallpur Khalsa College, Jalandhar. Presented Project and Seminars on Genetically Modified Embryos (Dec 2013 to May 2014). Area of Interest – Molecular Embryology.